Twenty-four percent of Kalamazoo College students participate in intercollegiate athletics. The Hornet Athletic Association supports 18 MIAA teams, providing resources for equipment, travel, coaching excellence and the immediate needs of Hornet Athletics. Gifts from alumni, parents and friends through the Hornet Athletic Association are essential to the K student-athlete experience. Division III student-athletes take both halves of the name seriously. They recognize that their studies are the true reason they are in college, and they commit to a team above and beyond their coursework because of a real passion for their sport. 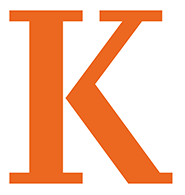 Kalamazoo College provides a balance of rigorous academics and competitive athletics as part of an individualized K-Plan. Under these guiding principles, K student-athletes learn discipline, perseverance and leadership – skills they take with them into their careers and communities as alumni. As Kalamazoo College continues to grow our athletic programs, we hope you will support Hornet Athletics through the Hornet Athletic Association. Your gift may be unrestricted to help us meet the greatest needs of Hornet Athletics, or designated to an individual sport, or divided equally between two or more designations. Hornet, Stinger and Hornet Nest support the Hornet Athletic Association with an annual gift of $500 or more. These leadership donors ensure that Hornet student-athletes have the best opportunities to hone their skills and compete in top-quality programs. All Hornet Athletic Association donors will receive an electronic newsletter. Hornet Club donors will additionally receive an invitation to a Homecoming and Reunion Weekend reception. Hornet Nest donors will receive special recognition at the Hornet Golf Jamboree. You can learn more about Hornet teams and student-athletes by visiting the Kalamazoo College Athletics website. You can also like Kalamazoo College Athletics on Facebook, and follow @khornets on Twitter for the latest scores, news and updates.